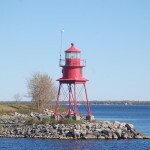 Alpena is the largest city on the Lake Huron shoreline in Northern Michigan, and in 2015 the arrival of Austin Brothers Beer Company gave this popular all-seasons destination another attraction to be proud of. This brewery, owned and operated by a family originally from California, has established a reputation for producing quality beers and providing a warm, welcoming atmosphere for those looking to grab a beer and some food. 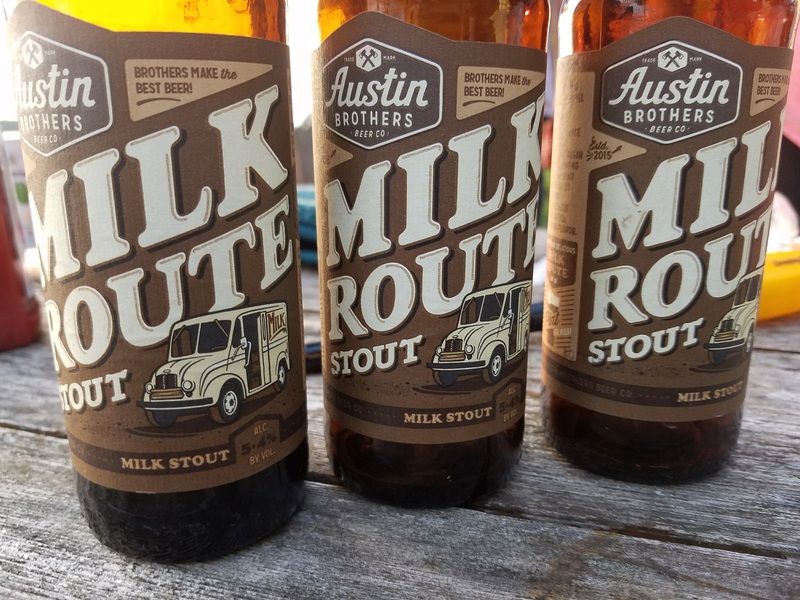 The three “mainstays” and most popular beers for Austin Brothers are the Woody Wheat, the 45er IPA, and the Milk Route Stout. Woody Wheat is described as an “American style wheat with a twist. Hints of orange peel and gracious amounts of vanilla will hit both the nose and palate. Medium body and light in color, a session for the whole year. A hybrid wheat, a mix of hefeweizen and wheat cream ale.” It’s delicious and an easy drinker in any season. The 45er IPA pays homage to Alpena’s location on the 45th parallel, and is a 7% ABV West Coast IPA that is sure to please fans of the style. Milk Route Stout features chocolate and roasted caramel coffee taste in a well-balanced sweet milk stout. When we visited in September of 2017, there were 12 beers on tap. 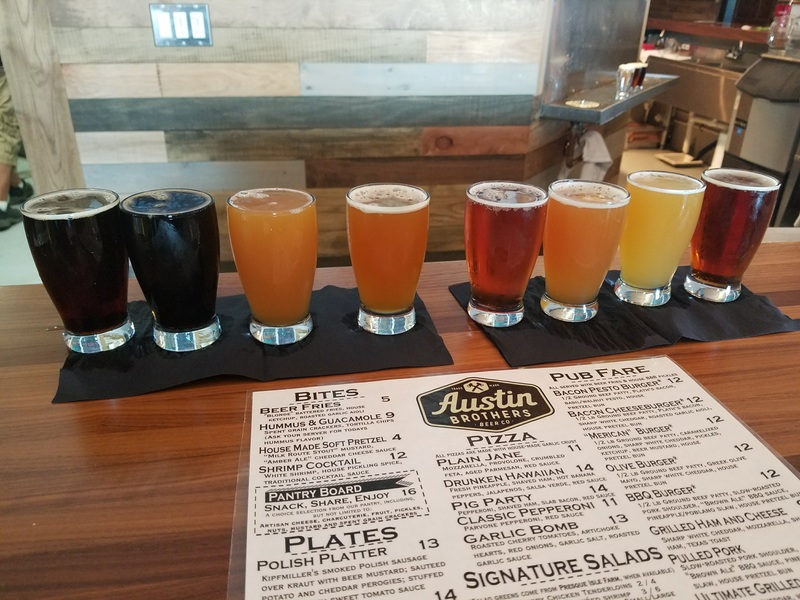 We ordered a flight of eight beers that included Cherry Bomb, Austoberfest, MurcGyver IPA, Blood Brothers, The Parallyzer, Murcules Double IPA, Brown Ale, and Milk Route Stout. 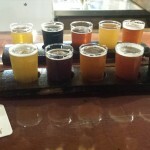 I really enjoyed the IPAs, especially MurcGyver and Murcules. 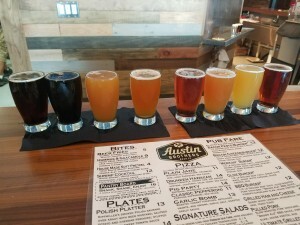 If you get a chance to try any of the beers in Austin Brothers’ New England style IPA lineup, they are all delicious and well-named (favorites include Murk Twain, Murk MurcGwire, Murky Murk, Steve Murkel, and MurcLovin). 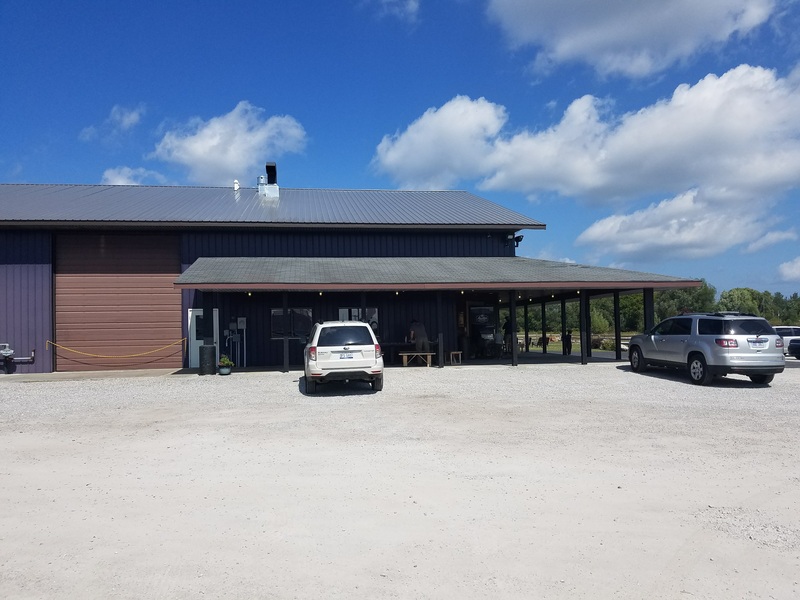 We were impressed that there were a wide variety of style options here, and a constantly updated and changing lineup so there will be something new every time we visit. Food options include appetizers, salads, burgers, pizza, dinner platters, a kids menu, and desserts. 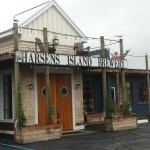 The emphasis is on fresh, locally sourced food and the prices are reasonable. Service was friendly and fast. There is merchandise for sale on-site, and you can get a growler of your favorite beer to take home. 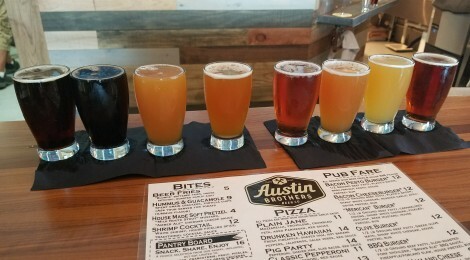 Check out the video above for Austin Brothers’ appearance on Pure Brews America with Shannon Long. 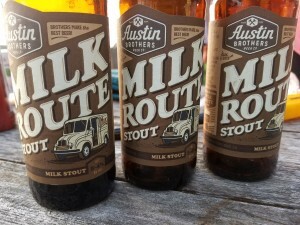 If you’re looking for Austin Brothers Beer Company beers outside of their brewery, you can find six-packs of 45er IPA, Milk Route Stout, and Woody Wheat at retail outlets across most of the state. 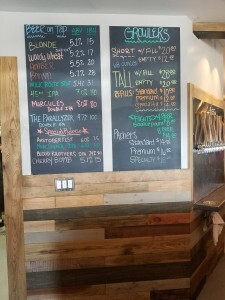 You’ll also find their beer on draft at select restaurants and other locations. 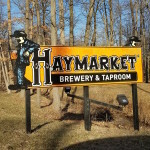 The closest nearby breweries are Cheboygan Brewing Company in Cheboygan, Snowbelt Brewing in Gaylord, and Wiltse’s Brewpub and Family Restaurant in Oscoda.